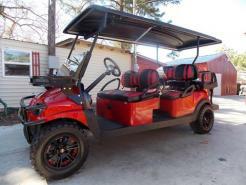 Southern Sportz Stretch Limo Golf Carts are unique combination's of design, quality and passion and fundamentally different from the traditional 6 Passenger Golf Carts you see everyday. 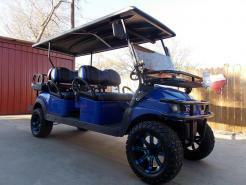 The sporty and dynamic look that challenges current golf cart conventions originates in simple changes to the contour of the vehicle have a dramatic overall effect and puts our Custom Stretch Limo Golf Carts in a league of their own. 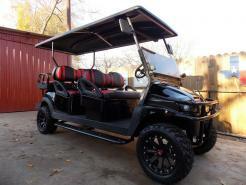 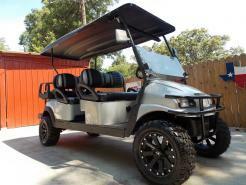 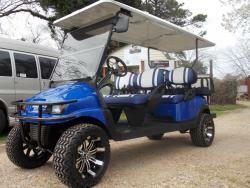 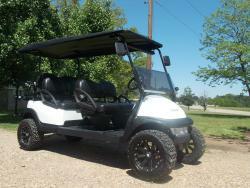 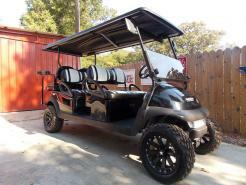 Put a personal touch on your custom built Golf Cart with unique upgrades like a Kicker Audio Sound System , Under Glow Street Lighting, Chrome or Diamond Plated Accessories, Genuine Leather Seats, Chrome Wheels, & Much More.